So why do I want to become a Family Nurse Practitioner when I’m already in my fifties? I grew up on a dairy farm in Kansas. Neither of my parents had gone to college, but they were determined that we should. I started my career as a pharmacy assistant in high school. I discovered my interest in nursing and then went on to become a certified nursing assistant, LPN, and finally I put myself through an associate degree program to become a registered nurse. My first love was labor and delivery but I soon transitioned to NICU. After several years of experience I was able to become certified as an ECMO specialist (heart and lung bypass) for our critically ill neonatal patients. I had been working on my prerequisites for my BSN but life began to intervene and I stepped back to part-time NICU as we began our family. Twenty years and four sons later I decided it was time to fulfill my educational goals! I started back to State College of Florida and in December 2015 I completed my Bachelor of Science in Nursing. I’m currently working in the Sarasota County mobile medical unit and enjoying this new experience. But my love of family nursing is propelling me on. So October 2016 finds me enrolled at the University of South Florida in their prestigious MSN program with the goal of becoming a family nurse practitioner. I couldn’t be happier! This is truly a dream come true. My husband Jeff and I are blessed! Two of our sons are currently enrolled at the University of Florida in engineering. Our third son is a Senior at Riverview High IB and he is considering premed. Our youngest son is in middle school and he is looking forward to high school next year. Our sons’ see me back in school and I think it helps impress the importance of hard work, persistence and pursuing goals in life. So why do I want to become a family nurse practitioner when I’m already in my fifties? It’s very simple. I have a lot of learning, living and caring to do. There’s a high chance that I will go on for my DNP because I truly love learning. And I’m convinced that working and doing what you love keeps your mind and body in optimal shape as you age. 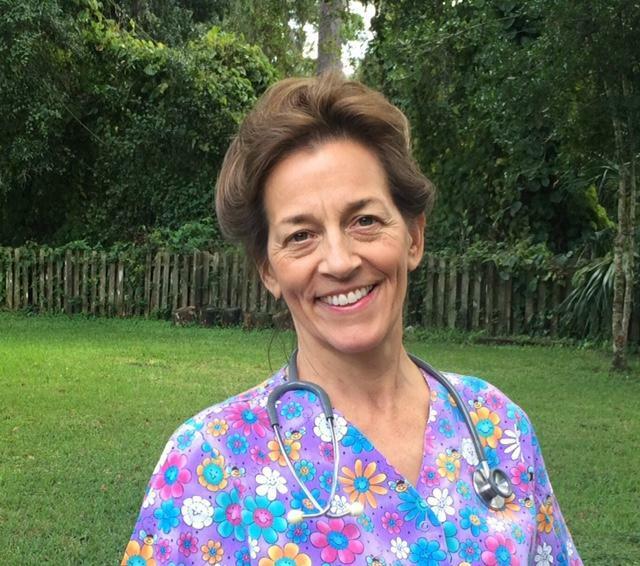 This true life success story belongs to Lynne Streitmatter RN BSN. A mature and experienced nurse who decided it was time to complete the goals she set for herself many years ago. It’s a truly inspiring story. And it can be your story too. Contact the nurse education navigator today and let’s just get on with it! Do something today that your future self will thank you for tomorrow.